Bring your favorite Star Wars adventures to life! 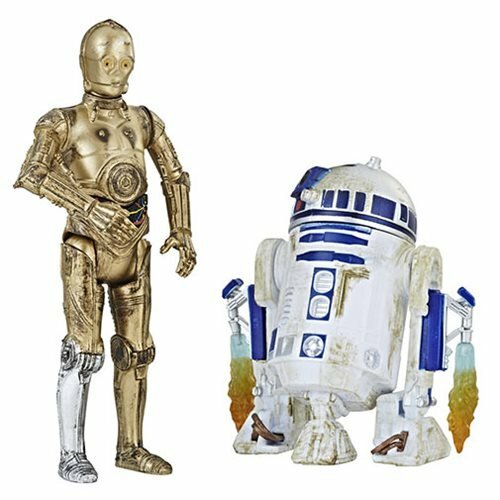 Exclusive 3 3/4-inch scale R2-D2 and C-3PO action figures! Activate sounds and phrases with Force Link 2.0. Includes fun accessories and instructions. Bring the galaxy to life with the Force Link 2.0 wearable technology to activate the sounds and phrases in Force Link 2.0 figures, accessories, vehicles, and playsets, plus activate multiple figures to hear interactions and responses between iconic characters. With Force Link 2.0 (sold separately), you can bring your favorite Star Wars adventures to life! 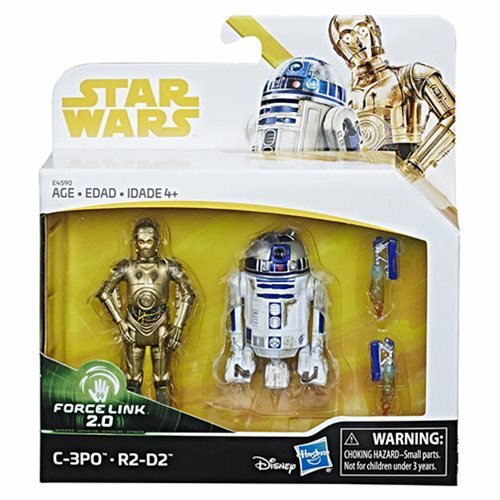 This incredible Star Wars Solo Force Link 2.0 C-3PO and R2-D2 Action Figures - Exclusive includes wonderful 3 3/4-inch scale R2-D2 and C-3PO action figures with fun accessories and instructions. Don't miss it!